Play Who Am I - True Age and more Quiz Games on Games1.com! Do you ever feel like you don't fit in with the people of your age? Is it possible that your true age is simply different? With the questionnaire in this new personality game you can find out now! Answer all the questions truthfully and read your detailed analysis at the end. Are you more playful like a baby or already wise as your grandparents? 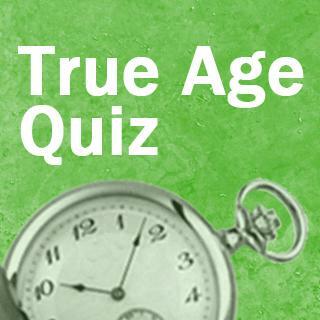 What is the true age in your heart?